Poland and Russia appear to have phrased their new gas agreement in a way that will only formally observe European Union rules on third-party access to the pipeline. In reality, Russia’s Gazprom will keep nearly full control of the Yamal-Europe pipeline that supplies Poland and customers in Germany. Poland and Russia took nearly two years to negotiate the new deal — formally, an amendment to their long-term gas agreement. In the final stage of negotiations, the European Commission stepped in to enforce compliance with EU laws, which guarantee third-party access to pipeline infrastructure and is intended to make the continent’s natural gas market more flexible. 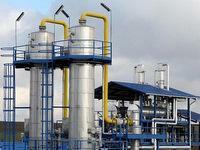 The Polish government Tuesday approved a new natural gas deal with Russia and expects the signing of the agreement within the next few days. To meet the European Union requirements, Polish state-owned pipelines operator Gaz-System has been charged with managing the Yamal-Europe gas pipeline, owned by a joint venture between Gazprom and Polish gas firm PGNiG. European Commission officials said earlier this week, however, they hadn’t had a chance to review the contract between Gaz-System and the pipeline’s owner EuRoPol Gaz to make sure the deal allows third-party access to the Yamal-Europe pipeline. The fig leaf was partially lifted by the chief executive of EuRoPol Gaz on Wednesday. According to Miroslaw Dobrut of EuRoPol Gaz, the state-owned operator will only manage any excess pipeline capacity, while it will effectively be EuRoPol Gaz and its owners deciding when that capacity appears. As of now, there isn’t any. “The agreement [between EuRoPol Gaz and Gaz-System] is mainly about managing free capacities that may appear on the pipeline,” Mr. Dobrut said in an interview with television channel TVN CNBC. How much free capacity there is will effectively depend on the pipeline’s owners and users — in essence, Gazprom and PGNiG. “It will depend on owners and current users of the pipeline. If they don’t use up all capacities, we’re obliged as the owner to report this to Gaz-System, which will have them at its disposal and offer it on the market,” Mr. Dobrut said. And are they fully used today? Yes, they are. “As of today, they’re 100% used. There are brief moments when they’re not used fully, and we will be reporting it to Gaz-System,” he added. So in effect, it will be for Gazprom and PGNiG to decide among themselves if there’s any capacity to sell to a third party, and most of the time there won’t be any. But is getting a better deal — one that would fully observe EU laws — even attainable in Poland’s delicate position? Hardly. The country imports two thirds of its annual gas consumption from Russia and is yet to build any other viable option for importing gas from other directions. Gazprom is powerful enough, and the Polish government can’t risk leaving the country without gas right as the winter cold is about to begin. “What they got was a shorter, but still rigid system,” Mr. Pearson said. Since EU internal natural gas policy is a work in progress, this deal should be considered a real compromise, not a loss for the EU or Poland, Mr. Pearson added. “Europe is moving slowly towards a more unified energy market, but progress is halting,” Mr. Person said. The year 2022, when the new Polish-Russian deal expires, fits into the timelines of when Europe’s complex international gas infrastructure and regulatory system may be ready and also when Poland’s shale gas production may come on stream, he said. There are already some interconnectors and swaps deals would have been possible even today that would allow Poland to buy German gas in the Yamal pipeline before it reaches Germany. So a more flexible deal would have been technically implementable. In that sense, it’s a compromise.